KABUL, Afghanistan – Defense Secretary James Mattis made a surprise visit to Afghanistan’s war-shattered capital on Friday, the U.S. command in Afghanistan said, just days after a suicide bomber killed 21 people in the city and wounded 90 others. On Friday, Afghanistan’s Islamic State group affiliate issued a statement claiming responsibility for the attack on the wrestling center. The statement was accompanied by a picture of a young man with a masked face, who was identified as suicide bomber Saber al-Khorasani. The second explosion was a vehicle filled with explosives, according to the statement, which could not be independently verified. The discrepancy between the IS account and the Afghan government’s initial report of two suicide bombers was not immediately clear. 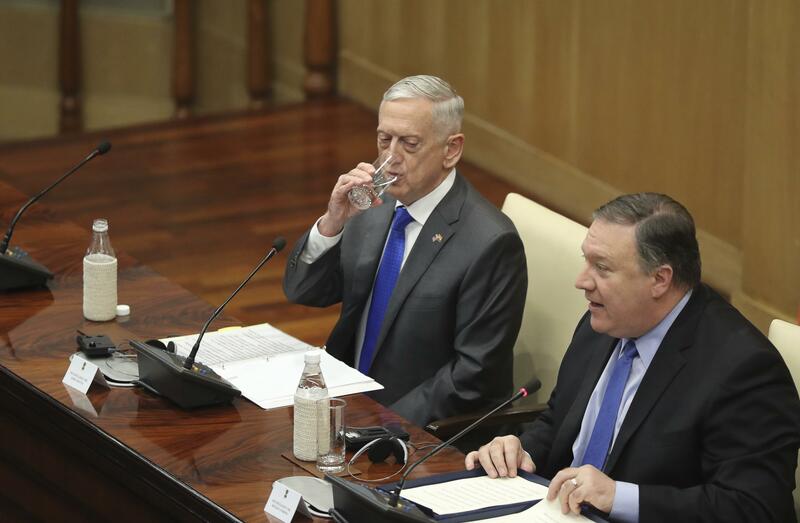 Mattis arrives in Afghanistan fresh off earlier meetings in Pakistan where Pompeo said the U.S. wanted to “reset” its raucous relationship with Pakistan and newly elected Prime Minister Imran Khan expressed optimism, promising to work with Washington for peace. But Khan has repeatedly said Pakistan is no longer interested in partnering with the United States in war. “This is my promise – that Pakistan will never again fight someone else’s war,” Khan said on Thursday in a speech to mark Pakistan’s Defense Day. As an opposition leader Khan was a sharp critic of Pakistan’s participation in the U.S.-led war on terror. Khalilzad’s appointment was also unwelcome news in Pakistan because of his outspoken attacks on its military and powerful ISI intelligence agency, even suggesting Washington should declare Pakistan a state sponsor of terrorism. Washington last weekend announced it canceled a $300 million Coalition Support Fund payment to Pakistan, which is a payment for costs incurred by Pakistan’s military in the war on terror. Published: Sept. 7, 2018, 9:14 a.m.